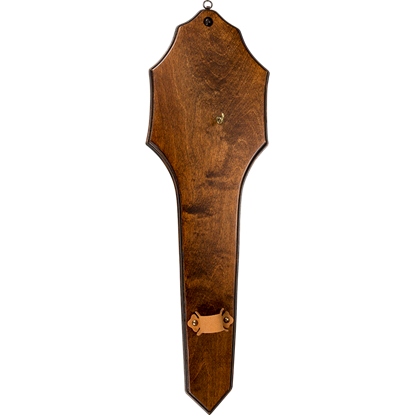 This Crest Universal Sword Plaque features metal hanging hooks that can be adjusted to fit almost any sword using the pre-drilled holes on the back. 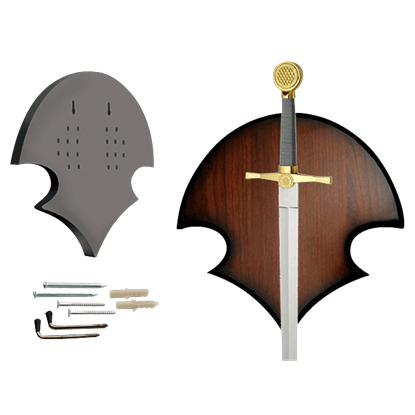 The sword plaque includes mounting hardware and easy-to-use mounting instructions. The Two Sword Eagle Crest Plaque is a carved wooden panoply from Spain. 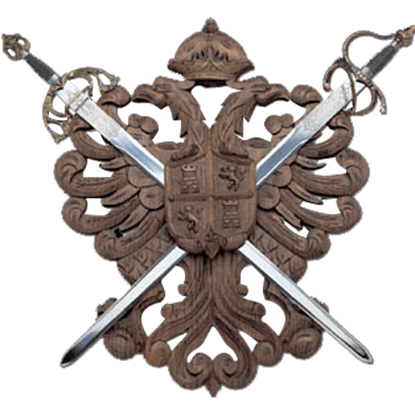 The two sword eagle crest plaque is a magnificent display piece in any home or office. This plaque can hold two swords, which are not included. Is that designed plaque just too much to hang your sword on? Looking for something to showcase the beauty of your sword, rather than steal its thunder by looking as cool, if not cooler? Then the Universal Wall Plaque is right for you. 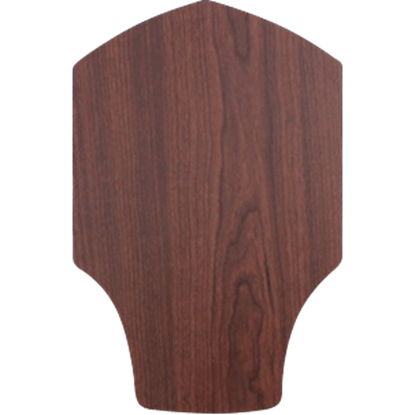 An exquisite means to showcase the decorative weapon of your choice, the Wooden Axe Display Plaque features a beautiful natural wood grain finish to complement the historical appeal of the weapon that it displays. 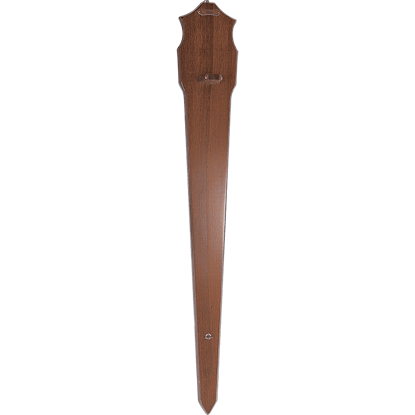 An exquisite exhibitor for ornamental swords, the Wooden Display Plaque for Decorative Swords is an elegant way to prominently display your decorative weapon. It is crafted from wood and finished to enhance its natural wood grain. Any weapon you love needs a specific place sit when not being used. 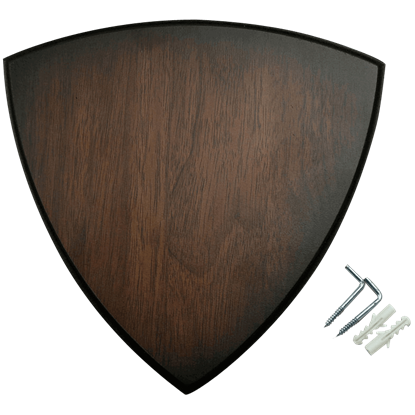 Our Wooden Sword Plaque is all you will need to display your weaponry for friends and family to enjoy. Made from wood, this sword plaque can hold one-bladed weapons.